Energizer® Intrinsically Safe LED Lights are designed and built with the rugged features hard-working professionals need and appreciate on the job. Tough, safe, and strong, this LED Headlight features four light modes: white (high/low), red for night vision, and green for contrast. 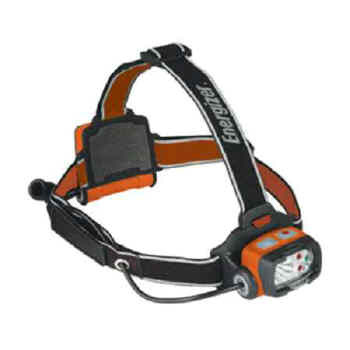 It also includes independent switching, a non-slip strap, and a flip-up lens that diffuses spot–to–area light. It's dustproof, water-resistant, and runs on three AA batteries (not included) too. Class 1, Division 1 rated. 3 1/8" x 1 1/8".